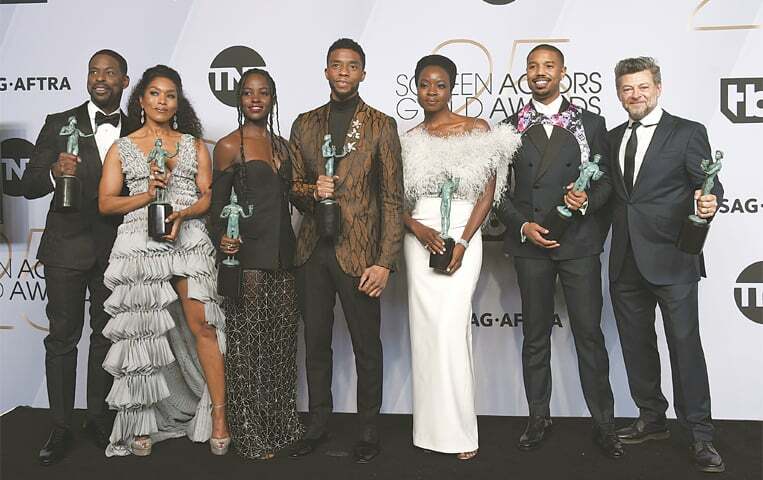 SUPERHERO film Black Panther, heralded for its mainly black cast and vibrant celebration of African culture, won the top Screen Actors Guild (SAG) award on Monday, boosting its stature ahead of next month’s Oscars ceremony. Black Panther was named best movie ensemble in a surprise triumph over favourite A Star is Born, which ended the night without any SAG trophies. Glenn Close was honoured as best film actress for playing a devoted spouse in The Wife. Rami Malek won best film actor for his portrayal of Queen lead singer Freddie Mercury in Bohemian Rhapsody. The victory for Black Panther is a sign that it will enjoy broad support in this year’s Oscars best pictures race, which has confounded experts with a strong field of contenders and no clear frontrunner. Only one film in the last 23 years has won the prestigious best picture Oscar without being nominated for SAG’s ensemble prize. That was last year’s fantasy romance, The Shape of Water. That scenario could repeat itself this year as SAG snubbed some of the best picture candidates in the ensemble category, including Spanish-language drama Roma, British period comedy The Favourite and Golden Globe best comedy winner Green Book. The Oscars will be awarded on Feb 24.